I have just finished another unit of Skraelings, here we have a unit of Warriors comprised of 8 figures. I call them the green band as their unifying colour is green. This is to distinguish them from the the yellow band! Here is my Skraelings to date, 8 more figures to go. 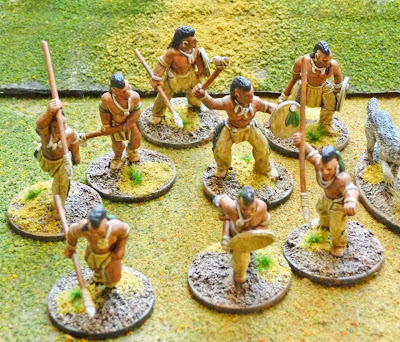 They are a little boring to paint as they are all the same, but they are very nice figures. I think I will stick to a 4pt band for now. 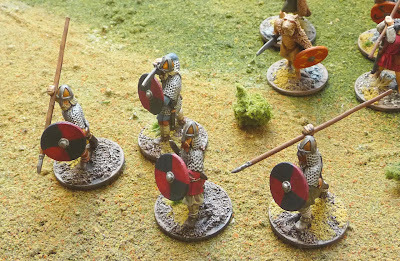 Here is a unit of Viking Hearthguard, these were quite nice figures to paint. To distinguish them from the Warriors they have chain mail. 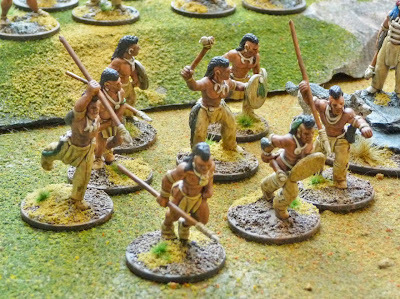 Only 4 figures to a unit here. My Viking warband to date, 1 more unit of Warriors to get to 4 points. 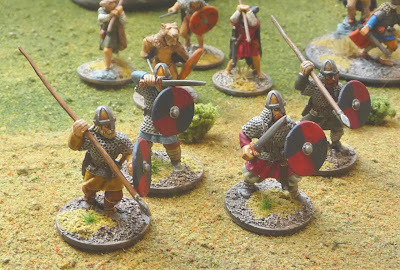 I plan to paint 6 pts of Vikings and will add a unit of Levy as well as another unit of Hearthguards, trying to decide between Jomsviking or Varangian Guard. 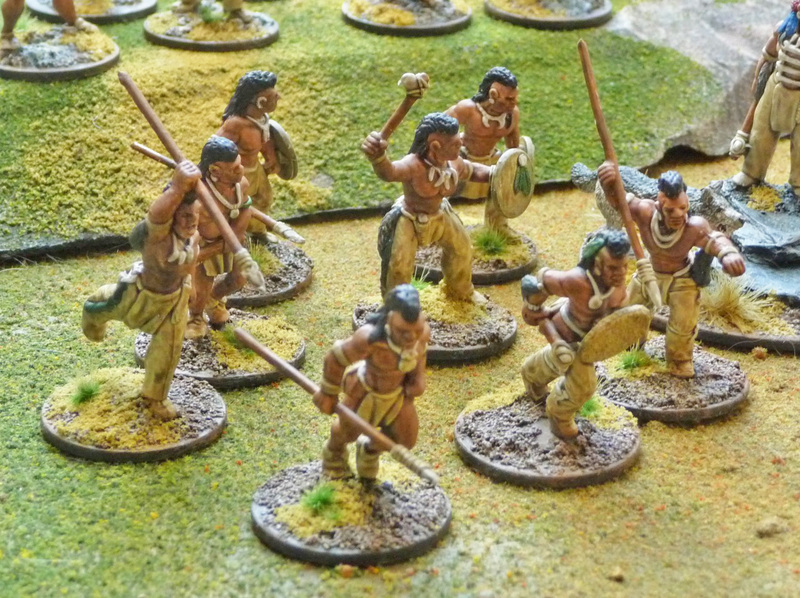 Hoping to finish off another unit of Hanoverians today and should have some casualty bases to show off tomorrow. Looking good (although you know you should be working on a certain Napoleonic project... you have a title to defend! ;-)). Did you try the dark blue to highlight the black hair? Actually I did Burkhard, not sure if I could tell the difference, but it certainly took the edge off.